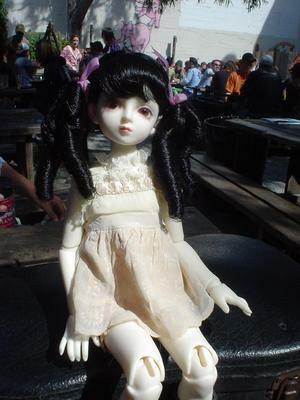 Miette hits the beer garden! My girls are all so very bad! 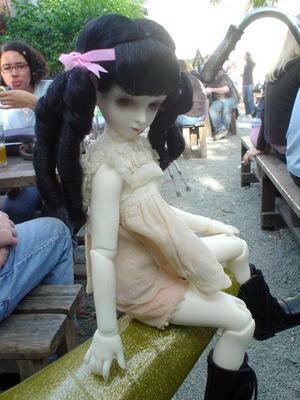 I think Ginevra & Trinian have been having a definate negative influence on Miette. 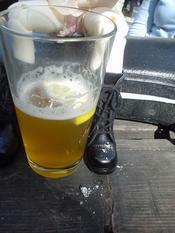 She snuck herself to the beer garden at Zeitgeist Saturday stuffed into my violin case. Imagine my surprise and consternation when I discovered my violin was missing! Tsk. Miette: Isn’t the sun supposed to be bad for me? Kallisti: Aren’t booze and cigarettes supposed to be bad for you? Miette: Don’t you have any Gitanes? Kallisti: What are you, Canadian? Ha-ha, you ashed on your new boots. 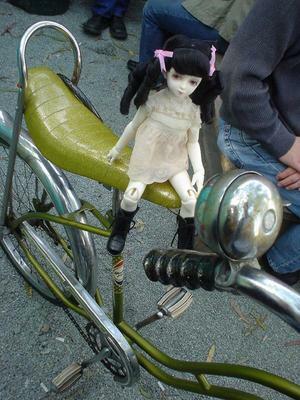 Miette: I’m going to steal Tamera’s bike and ride off with my gorgeous French lover. Kallisti: You’re nine. Besides, Tamera will stab you. Thanks ever so to Kola for not only having a teensy fabulous camera with her, but for sending me the pictures as soon as she got home. Kissy face! And special thanks to Tamera for stopping by even when she was feeling rather poorly. she is beautiful and oh-so-super-pretty. looking forward to more pics! Ok – days behind but that’s too funny. Maybe Miette is from Quebec? Would explain the Gitanes and the attitude 🙂 Loved the photos! She’s just a doll! Looking forward to more. Next Next post: Dagnabbit, gar!